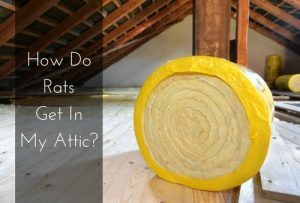 How Do Rats Get in My Attic? Rats are some of the most common invasive creatures we find inside of attics, and they also happen to be some of the most destructive. Just a handful of rats can turn into a massive infestation before you know it, so let Critter Control® of Orlando be your total solution for removal and source of information on these nuisance invaders. How Do They Get in Undetected? Rats naturally try and avoid direct contact with humans, and for that reason, they will often enter a home through access points in the roof or attic area, including roof intake or exhaust vents, soffits, and even small openings in roof junctions. Rats can also make their way in from ground level, using cracks or holes as small as 1” in diameter to squeeze their way in. From there, they make their way to the dark and secure attic where they then begin to nest. Do I have a Rat Problem? Once you know what to look for, the signs of rat activity become apparent. Things, like scratching noises coming from the walls or ceiling, the stench of droppings, and chewed wiring and piping, are all telltale signs of an unwanted house guest. The best way to determine if you have an infestation is to schedule an inspection from the experts at Critter Control® of Orlando. As many Orlando area homeowners have learned, rats can create disruptive, expensive damage that can even put loved ones at risk. To ensure that these nuisance critters are removed permanently, the exclusive four-step removal and exclusion process we use here at Critter Control® of Orlando is the best option. For any questions about rats in your attic, or to schedule a consultation, call us today at 407.295.7194.